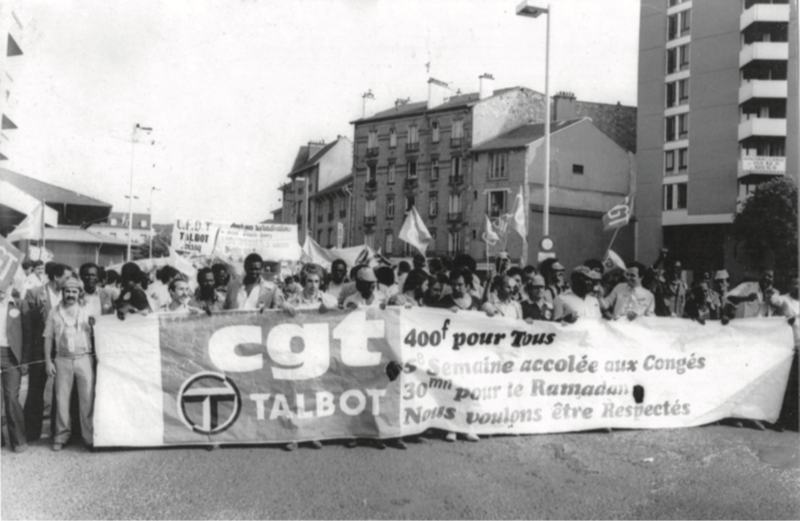 Demonstration of striking workers at Talbot-Poissy, June 1982. Sometimes it is, “Marxists believe that…” Sometimes, “Socialists understand that…” Whatever the wording, the point is the same. Different propositions follow. They may be general theoretical claims, having to do with the relation between “race and class” or “reform and revolution.” Or they may have an immediate, pressing character, providing a position on a current policy question or strategic debate. Unfortunately, the days are long gone that we could say, “Socialists think that the sea should be made of lemonade.” But let’s remember fondly that at one time, some did. Of course, this is the problem with writing “Socialists think that…” Across history, socialists have thought a great many things, sometimes things that were so incompatible they divided organizations or plunged entire nations into factional disputes. Studying these debates can be useful, because it can force us to reconstruct the reasoning behind a particular position which we may otherwise have taken for granted. In spite of this, people think. Nothing can stop that. This point seems so simple that it is frequently forgotten, sometimes on purpose. But it is really of central importance. The French militant Sylvain Lazarus has elaborated an entire framework of politics based on this statement: people think. Recognizing that people think is not the same as talking about consciousness, which poses more problems than it solves. We often hear of a class consciousness – one which expresses the objective conditions of the working class, but which is not always realized. Socialists who have this knowledge, usually intellectuals, are supposed to make workers conscious of their objective conditions. But consciousness is not so unitary and direct. Workers have consciousnesses that are determined by a plurality of factors: nation, ethnicity, gender, religion, and so on. The process by which consciousness comes to reflect a class position might be through translation by one of these factors. This is why populism tends to mobilize classes in national terms. In an account of factory investigations he conducted in France in the 1980s, Lazarus proposes that instead of talking about working-class consciousness, we should say: workers think. But what workers think is not just determined by the characteristics of production, or the collective consciousness of an objectively constituted group. Instead, we have to find out what they think. We have to have the humility to ask and learn, instead of going out knowing in advance what their consciousness should be. I will give two of Lazarus’s examples. First is Lazarus’s description of a strike and occupation of the Gennevilliers STECO factory in 1991. The factory produced car batteries, a highly hazardous line of work. The company decided to close the factory and lay off hundreds of workers. In the occupied factory, the strike assembly met with the bosses, who offered severance pay, but only to senior workers, and not to young people, women, and the recently hired. The question of the factory struggle became, who counts as a worker, and who decides who counts? The striking workers came up with their own analysis: from the viewpoint of the bosses, layoffs reflected their control of the factory. They decided who would work – it was not the worker’s decision whether to stay or leave. With severance pay, the bosses acknowledged that layoffs harmed workers. But with the decision of who would receive severance pay, the bosses decided who would be counted as a worker and who wouldn’t. But there was an alternative to the counting of workers by the bosses, which was the counting of workers by the workers. The workers’ strike assembly demanded “that severance be paid to everyone, men and women, young and old, recently hired or not, that this was their principle of counting.” This was not just a repetition of a sociological definition of the worker, whose clear and luminous exposition in books does nothing to guarantee that it will be active in a concrete political situation. The egalitarianism of the demand is not a given; many factory struggles are unable to overcome divisions within the workforce. Lazarus argues that in the situation of the factory struggle, the demand was enabled by what he calls a political prescription. A prescription shows us what is possible – that is, it shows us people’s capacity, a capacity which cannot be captured or understood from above by a party or state. The prescription opens up what is possible within the specific situation: in this situation, it says it is the workers, not the bosses, who count who is a worker. The demand “severance for all” is interior to what is made possible by introducing the prescription “the worker counts who is a worker.” Ultimately, the bosses gave in and the demand for severance for all was won. The second example has its turning point in 1983 – the year of Mitterrand’s “Socialist” turn to austerity and the first electoral victories of Le Pen’s National Front. Immigrant workers were disproportionately affected by layoffs in the automobile industry, and organized against them. Government officials dismissed the rising wave of strikes by characterizing the striking workers as foreigners, Arabs, and Muslim fundamentalists who were out of touch with the realities of France. Racism and xenophobia were mobilized against strikers at the factory level, often erupting in violence. In these statements, Lazarus points out, the category of the “immigrant worker” is assigned to the factory, and that of the “immigrant” to the outside, society in distinction from the factory. While the state advances “the identification of the country by the juridical notion of nationality,” what is visible behind this shaky edifice is “a permanent network of surveillance and persecution of the ‘non-French.’” The word “immigrant” is used by the dominant group, the French in this case, to negate the figure of the worker in society. These principles are active because they are not simply read out of a theoretical canon. They don’t express an already-existing consciousness, or a consciousness that is brought from the outside. They are interior to political situations. We can’t possibly know what principles will be active in political situations ahead of time. To know about them in their specificity, we have to conduct investigations which begin from the recognition that workers think. This is an investigation which does not assume we know what workers think, but assigns priority to learning about their thought. Let’s adopt this founding statement in our own internal discussions and the decisions regarding our internal organization. Let’s reject the dictation from above, which provides ready-made answers to externally imposed questions, and instead say: socialists think.